Welcome to F1Minute - Sébastien Buemi excluded from qualifying results. Toro Rosso driver Sébastien Buemi has been excluded from qualifying for the German Grand Prix, with his time - good enough for 16th place - disqualified. In post-session checks, the FIA found an irregularity in his fuel. Buemi will now have to start from the back of the grid, or the pitlane, if the team prefer. Toro Rosso had split their race strategy between the drivers, with Jaime Alguersuari on a dry setup and Buemi on a wet setup, so they would be prepared whatever the weather. 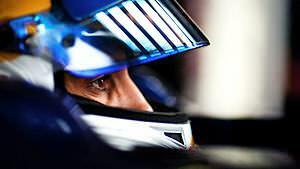 After qualifying, before the penalty, Buemi said: “I had the feeling I got the maximum out of the car... now we must wait and see which one of us has made the right choice.” This tactic has now been compromised, although they do still have the right to appeal.